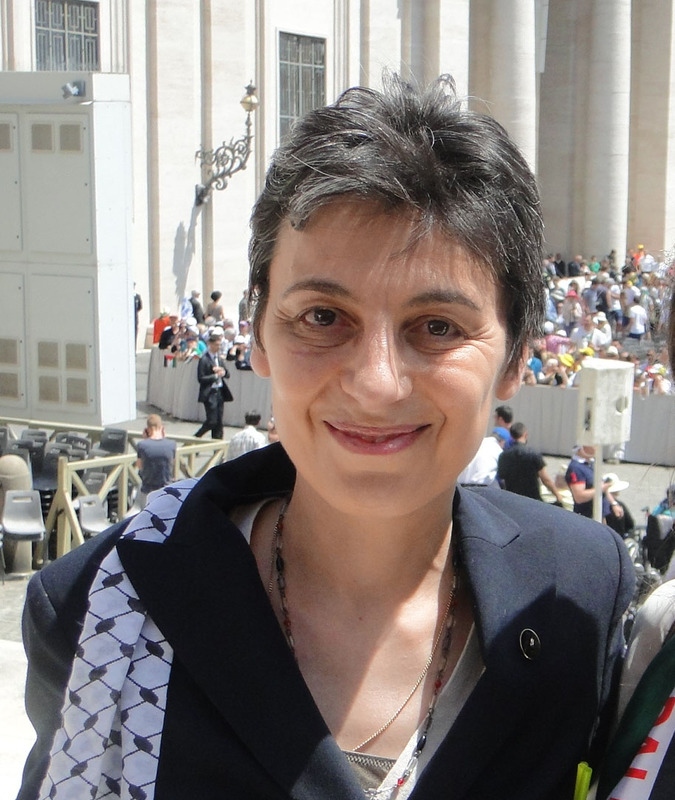 WASHINGTON, DC—The Holy Land Christian Ecumenical Foundation (HCEF) is pleased to announce that Anne-Elisabeth Giuliani of Georgetown University will receive the 2015 President’s Award for distinguished volunteer service at HCEF’s 17th International Conference Awards Banquet on Oct. 16. Since 2000, Ms. Giuliani has worked to bring the mission and programs of the Holy Land Ecumenical Foundation to the attention of her colleagues and the students at Georgetown University and to the broader international affairs community with which she works. A historian and a linguist, Ms. Giuliani also serves as a Chaplain-in-Residence at one of the university’s residence halls. She is actively involved in the university’s campus ministry programs and has been the spiritual adviser to the Catholic Daughters of the Americas, a religious student group, for many years. Through these connections, she has successfully provided HCEF with numerous student volunteers, interns and staff members who have worked at the HCEF headquarters in Bethesda, MD, and in HCEF’s overseas office in Bethlehem. She has also organized lectures and other Palestinian advocacy events on campus as well as annual craft sales during Advent, featuring beautiful carved olive wood artifacts. The 2015 HCEF President’s Award will be presented during their Awards Banquet the evening before the conference: Friday, Oct. 16, 7:00 p.m., at the Washington Marriott Georgetown.